2019 GTBets Sportsbook Review - UPDATED $500 Signup Bonus! GTBets is a top betting site dedicated to serving players across the world, including most of the United States (sorry DC, Kentucky, Maryland, Louisiana, Missouri, New York and Washington State). The site has a great reputation for taking care of players starting with excellent sign-up bonuses. Once logged in a player could easily become overwhelmed with the number of sportsbook betting options. This includes live wagering options, plenty of sports and leagues, a racebook, and an extensive casino. The company prides itself on great customer service and making the site as easy to use as possible for the player. No stone was left unturned as they tried to put together a user experience that each customer will find intuitive and easy to use. Our review will take a look at every aspect of GT Bets, including the good, the bad, and the ugly. We want to make sure you have a complete picture of the betting site before placing your trust in them. The good news is that this is one of the good guys and you will leave this page knowing there are a lot of positives about the site, and very few negatives. Before we jump right into it, we wanted to let you know that we are offering a free week of service from Jack Jones for opening a new account after clicking on our link. All you have to do is make an initial deposit of $100, then simply email your account number to [email protected] and we will get you set up! Just make sure that you use the link below so we can confirm your account. Now, on to the review! CLICK HERE TO SIGN UP AT GTBETS AND GET OUR EXCLUSIVE BONUS OF FREE PREMIUM PICKS! You will find all of the major sports here. Even the ones that are out of season still show up on the site to let the customer know they will be covered closer to the start of the season. And, by the way, the season doesn’t even have to start real soon for them to start posting the gambling odds on the games or futures on things like win totals or who is going to win the championship. This may not be a complete list. If you are interested in something current that isn’t listed above, head over to the site and check out if they have it listed. You won’t even need to create an account to see the sports they have lines on. There weren’t a lot of entertainment or political props when we checked. Not that these are a real big interest to me, but a lot of people enjoy them. It’s possible during election season they list odds on who is going to in, but at this point, I’m not 100% sure. Here’s a list of bets offered that will also show you which sports you can use for each type of wager. *For baseball they do have 1st 5 innings and 1st inning bets. Plus you’ll find round robins, the ability to buy or sell points, and lots of live action bets. So what is GT missing? Pleasers were one thing we saw. In football it’s a nice option to have if you think one team is really going to blow another team out, giving away points in exchange for better odds. There also were not any rolling if wagers. But to be honest, unless you really know what you are doing and like to get complex, this shouldn’t be a deal breaker for anyone. So how much can you bet? The minimums are only $1, but I’d say unless you are a real heavy hitter or a sharp, professional player the limits should be high enough for almost any bet you want to make. The major markets like pro spreads are going to get you high limits, but moving to the less popular, secondary markets like CBB totals and you’ll see the number they’ll take quickly starts to drop. Higher limits are supposedly available, but you’ll have to contact customer service first. I’m sure they will want to do a detailed look at your wager history so they can determine if you are a sharp or a whale before they give you an increase. That being said this is a recreational book, so they don’t want to cater to high rolling professionals. They are geared more towards the casual bettor than other, sharp books. If you are chasing steam, picking off weak odds in secondary markets, or just show that you know too much about sports betting they will cut down your limits. You’ll always get paid, but they will no longer offer to take big action from you. If you like the chance to win large amounts of money with very little risk then you probably like parlays. With GT Bets it’s very easy to select two or more teams to combine into a single bet. If there is a tie then the payoff reverts down to the next lowest number for a payoff and with two team parlays, a tie and a win becomes a straight bet. You can use up to 12 selections in every single sport they offer. They are wise to correlated parlays though so you can’t take the first half side with the full game side using the same team. The table below shows the payout odds if you are combing bets with the normal juice of -110. If you are using moneylines then you will be given the exact odds on the parlay. Because the moneylines can be drastically different there are no set odds. Plus you aren’t going to want to miss the progressive parlay. It’s a $5, 15 team parlay with a minimum payout of $50,000 to any winner. The more times it’s played by customers, and the longer it goes without a winner the higher the jackpot amount will be. Plus, you can get a $2,000 payout if you happen to be really bad and go 0-15! This progressive parlay is for full game sites and totals in the NFL, CFB, NBA, and CBB only with ties being losers. You need all 15 to win, and if someone else has the exact same card as you then you’ll have to split the prize. Want a little extra edge? Then you might enjoy playing teasers at GT Bets. Teasers are like a parlay with a combination of two or more teams, but the odds are adjusted in the customer’s favor. All teams must win in order for your teaser to payout, and a push will drop the teaser to the next level. However, a push and a win on a two-team teaser will result in a push, not a reduced win. You can make up to 10 selections in your teasers. There are also “Monster” teasers where you can get 10 points in football. Those don’t allow you to take totals and any push will result in an overall loss. This definitely isn’t the place where the line originates so if you like getting your action in extremely early I’d have to recommend you play somewhere else. But if for baseball you don’t mind the lines coming out at 9 PM and during football season the lines posting early Monday morning then you should be fine. This is a recreational book so they don’t make their own opinions on games. They tend to follow suit and look at what other sharp books are posting, but occasionally you will see them post some soft numbers as their own “public” action comes in on one of the favorites. That is why I recommend having an account here, because if you like one of these games you can pick up an extra half a point and increase your chances of cashing your ticket. One thing you won’t find anywhere else is the favorite team bonus. You can select your favorite teams for a season, two fro NFL & CFB and two for NBA & CBB. You will not be allowed to change once you have made your selections. Then you’ll get a free half in your favor for those favorite teams all year. These games will be easy to find since they are highlighted in yellow once you login to your account. This only applies to straight wager during the regular season though, no parlays, teasers, halftimes, or quarters. GT definitely has live betting for the major sports, but it is somewhat limited compared to the other books out there. They typically focus on the nationally televised games, so you aren’t going to get every single pro game on the board each night as an option. They do offer the standard spread, moneyline, and total on the games, but you might also see a player prop show up every now and again. GT offers a lot of convenient ways to get your money loaded into an account. Then you’ll quickly be up and running and be making your first few bets. After deciding you want to cash out some of your winnings, they’ll make sure you get your payout without any problems or hassles. You are going to need to send in front and back copies of the credit card if you use that method, then you’ll also need a valid government ID and a copy of a recent utility bill that matches the address. This is to keep players from opening more than one account or to limit access to players who have been banned in the past. 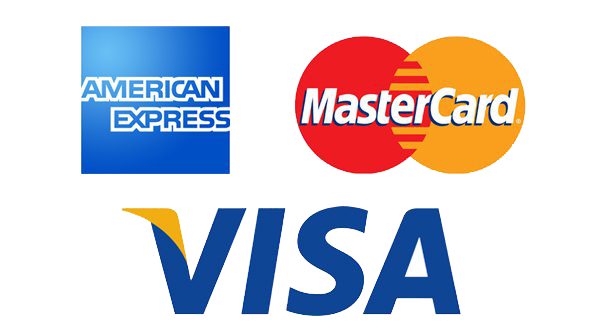 Visa, MasterCard, and American Express are easy and convenient deposit options! Any foreign transaction fees that are charged by your bank are not covered. Due to currency exchange fees, your charge might be slightly lesser or greater than your initiated amount. Use BitCoin to fund your account. They give free withdrawals with this method as well. Please contact support for more information on this method. Only available to players outside of North American and Australia. Skrill deposits qualify for a signup bonus of 50% up to $500. 100% bonus is excluded. Available to players outside of the USA and Australia only. NETELLER deposits qualify for a signup bonus of 50% up to $500. 100% bonus is excluded. Payouts are processed Monday-Friday from 10 AM EST until 4 PM EST. You’ll need to get in touch with them by Noon EST though if you want the withdrawal to be processed that same day. Make sure you get your documentation to them beforehand so getting your money out will be quick an easy. No need to have your payout declined because you didn’t do that right away. You also will get declined if you deposit by credit card and want to be paid out in direct cash, quick cash, or bitcoin. That’s a popular way for credit card scammers to steal money from merchants, rack up the deposit on a credit card and then try to get paid cash by the sportsbook. Submit your Bank Wire payout request and then contact them to find out what bank information is required. Bank Wire requests can take up to just 12 business days for you to receive the funds, however, it is generally much faster. Please note, customers may incur additional fees depending on the intermediary bank used. 1 payment per customer every 7 days only. FREE* Submit your Bitcoin payout request online and then contact them with your Bitcoin address. Players are eligible for 1 FREE Bitcoin withdrawal in a rolling 30 day period, and take up to 48 business hours. Any subsequent withdrawals within a rolling 30 day period will be subject to a 5% fee, with a max fee of $60. If you use a credit card to deposit, then Bitcoin withdrawals are not eligible to you when requesting either of your first two lifetime withdrawals. If you have used only Bitcoin to deposit, then Bitcoin withdrawals are available. Our Bitcoin payments are locked to a USD amount immediately prior to processing. Fee Min $50 or 8% of requested amount Request a cash payout and receive your money within 48 hours. Currently, available Monday through Friday and is based on limited availability. Cannot be combined with other cash methods in the same week. For credit card depositors, this method is not available on their first or second lifetime withdrawal requests. 1 payment per customer every 7 days only. The main problems with see with withdrawals has been customers who did not provide their documentation in a timely manner. Other than that the fee on a bank wire is fairly high, bitcoin should be free at least once a week and not on a 30 day rolling period. I would expect those terms to improve as the book starts to see more bitcoin coming in for deposits. You can see everything is low limit because they are catering to the smaller recreational player instead of the big professional bankrolls or large whales. GT Bets doesn’t shy away from attracting new customers with signup bonuses or taking care of their existing base with a little free cash when they decide to top off their account. I think this helps to offset some of the fees they charge on the payouts since they load you up when you make your deposits. Here’s the thing. GT Bets offers everyone 100% up to $500 on their first deposit and 50% up to $500 on their second deposit. But if you open a new account using our link below we will also give you a 100% match bonus in credits to use for handicappers on our site! It’s really easy, just click the link, sign up for a new account, deposit, email us your account number and deposit, and we will add the credit to your SportsCapping account. You can’t beat that! Now, this is a cash bonus, it’s not a free play. Cash means they add the amount straight to your account. Free play means you get to use it on a bet, and if it wins you get the winnings and the free play amount disappears. There are no restrictions on wager types or produces. One thing I want to make sure you are aware of is that you will not be eligible for the 50% bonus on the second deposit if you have already made a withdrawal. So, take advantage of that extra cash before taking any payouts. You’ll also only get 50% if your first deposit is with Skrill or Neteller. The minimum deposit is $35 and the maximum is $500 and there is a 5x point rollover. The rollover is a little confusing but isn’t that hard to figure out. I’ve included the table below that lists the multiples for every $10 wagered. Don’t try to open multiple accounts to get more bonus money. That’s part of the reason they require the identification documents above so guys aren’t abusing their system and taking advantage of the free money GT offers. Automated Reload Bonus – Free Money on Extra Deposits! I already mentioned above that you can get a 50% bonus on your second deposit, provided that you haven’t made a withdrawal. But, one thing I really like about GT is there automated reload program. It makes it really easy to get extra cash bonuses if you ever need to add money to your accounts balance. You can see what amount you are eligible for at any time by logging in and clicking on the bonus alert. The same rollover requirements apply here. Make sure to add [email protected] to your email contacts and you’ll get a weekly promo. Login to your account, go to my account, then click Preferences. Make sure you select receive promotional emails so you can get offers like double reloads, point discounts, free bets, double rewards, the game of the week special, no juice or half juice on specific games, and other giveaways. If you refer a friend they will take care of you as well. You’ll get 50% of your friend’s initial deposit up to a maximum of $400. Your friend will need to add your account ID to the referral field and then contact the support center via chat, email or phone. You’ll have to have made a deposit of your own in the last three months, it can’t be someone you live with, and you must be a resident of the United States. Whenever you place a wager in the sportsbook, bet in the casino, or gamble on the ponies you can earn points at Game Time Rewards. Points can be used for getting cash back, merchandise, or to enter different sweepstake promotions. There are silver, gold and platinum levels and the higher you go, the better your perks. The support team at GTBets is one of the best in business. You can contact them via their toll-free phone number, by e-mail or by live chat on your computer. GT Bets went online back in 2011 and have grown at an incredible pace since then. This book took a lot of the top management from the defunct VIP group that included VIP, BetGameday and Nine Sportsbooks. They honored all of those old account balances and baked payments. GT purchased the software platform so it’s incredibly similar to what customers saw before with the old VIP group. The fact that they honored all of those old balances is an incredible plus in my mind for the trustworthiness of this book. A lot of new books rise out of the ashes where old places fail and make no attempt to cover the debts or related previous ventures. Not so here. GT can be counted on to keep their word. Any Scams? Is it Rigged or Legit & Safe? I couldn’t find anywhere online that there was a scam being ran by GT. I have a very solid relationship with the management team over there. Any problems that you could ever have over there I would be more than happy to help out with. They are very clearly a recreational book, so you if you are an intelligent bettor you might lose out on the ability to collect bonuses or have your limits lowered. That doesn’t mean your money isn’t safe. Everyone gets paid and the payouts come promptly. I’ve also hear people say the casino is rigged. I get confused by this, the odds are clearly against you playing in the casino. Why do you think they have those massive casinos out in the Las Vegas desert? Just because in the long run you are expected to lose doesn’t mean it’s rigged against you. Some people lose fast, some win first before ending up down, and some come out on top. It’s called luck. For bonus hunters out there, GTBets obviously makes sense. Their 100% deposit bonus stands above the rest in the industry. This book is geared more toward new bettors, but their odds are competitive with all of the major books. So far, they have built a good reputation by paying on time and offering rock-solid customer support.